The Caterpillar 206B FT in 1:50th scale is a custom made model in 2017. This knock out 3D printed scale model of the Caterpillar 206B FT (Fast Travel) Wheel Excavator is one of the first custom built 3D printed resin scale model in my entire Caterpillar collection. Its fully functional and handmade, painted and decorated with all the Caterpillar markings by my Dutch fellow collector and custom scale model builder GL3D Models. 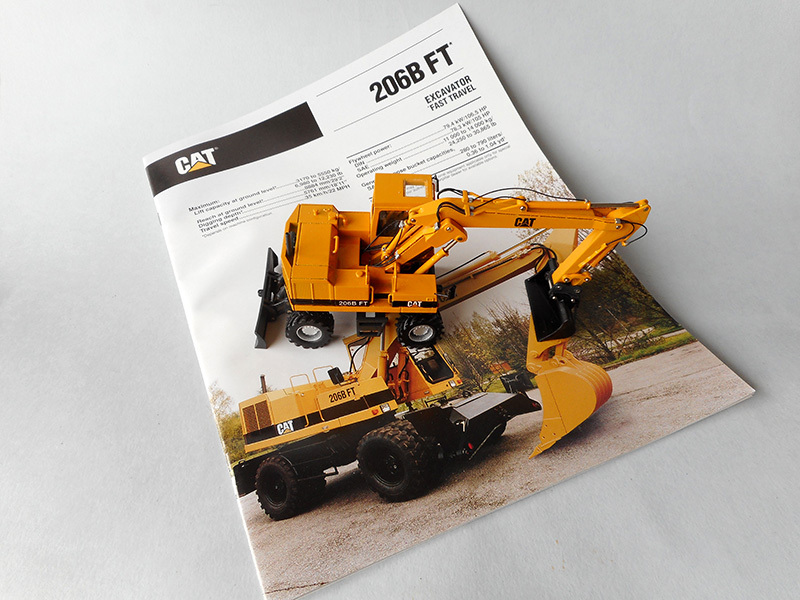 If you are interested in this hand built scale model or kit from the Caterpillar 226B FT Wheel Excavator send your e-mail to gl3dmodels@gmx.com for more information.